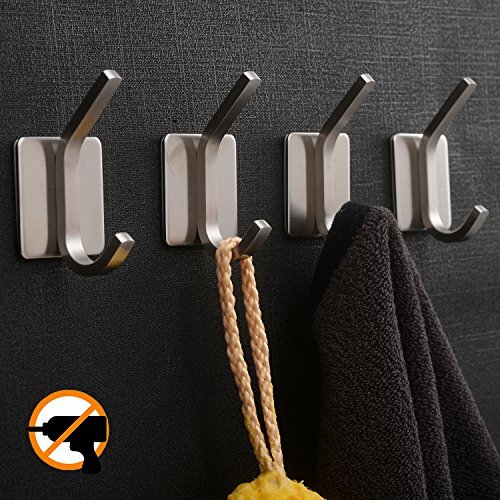 Material: SUS-304 premium-grade stainless steel , do not rust . Product Dimensions：2.9 x 1.7 x 1.3 inches. Easy Install：not need to Drill , just clean the installing smooth surface（not suitable for wall paper or painted wall） and dry it, peel off the protective layer of 3m self adhesive tap and Squeeze self-adhesion glue on the middle of the back, stick it on the wall. Use Tips and Attention：Rest it for 24 hours to ensure better stickness before hanging things on it.